Beginning in the spring of 2017, all Massachusetts public schools will administer the hybrid of the PARCC and MCAS exams. Recently, the State Education Commissioner Mitchell Chester proposed a combined version of the two tests. 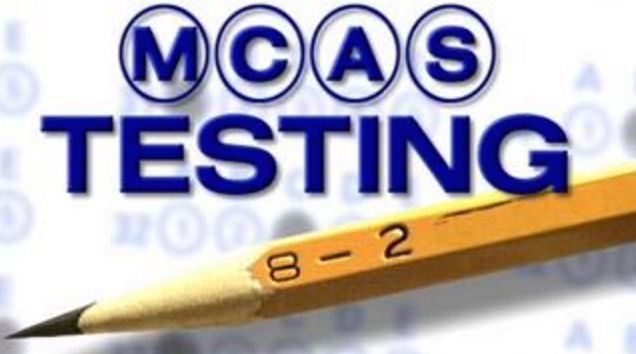 He boasted “MCAS 2.0” as a blend of the best of both tests. MCAS has been the state test since 1996. “I am grateful to the board for their thoughtful review of my recommendation and of all of the input and materials they received,” Chester said in a statement. “Their vote paves the way to a next-generation assessment that will be a better reflection of student achievement and, at the high school level, of readiness for college and a career,” Chester added. Chester targets 2017 for the new test to be produced, but fellow board of education member Margaret McKenna sees 2018 as the earliest possibility for a new effective exam because there needs to be time for beta testing. Sharon Public Schools superintendent Timothy Farmer is optimistic about Chester’s proposal, but says that before he can make a concrete conclusion on the new test, he must see MCAS 2.0 first. “In theory, the concept of taking the best from each assessment is better than adopting PARCC in its current iteration or staying with MCAS,” Farmer said. Sergio Ripley, a SHS freshman who took the PARCC test last year, didn’t like the “faulty” exam. “Halfway through the test, it logged me out and I had to retake the test all over again. It was miserable,” Ripley said. Students have also scrutinized the PARCC exam because of the time limit. Between now and 2017, schools will have the option of continuing or switching to PARCC. The current SHS Freshman will take their final MCAS test next year, 2017. It will be the final year the test will be administered.